In this Pro Interview, we take the opportunity to catch up with Chris Presley, Director of Consulting at Pythian. Pagezii – Chris, tell us about yourself. Chris – My current title is “Director of Consulting” at Pythian. I have a large team consisting of Principal Consultants and Solutions Architects reporting to me. Unlike many in middle management, I also actively consult with our customers. My teams span all of the popular and up and coming technology verticals. I am also very interested in analytics, big data technologies and data science. I realize that’s a hefty list but fortunately I have access to experts in all of these areas within short reach. Pagezii – Tell us a bit about Pythian. Chris – Pythian helps organizations adopt and manage disruptive technologies. Our services help businesses unleash the power of data, cloud and automation to better compete. Whether they’re developing a data strategy, managing a data estate or full operations in the cloud, accelerating software velocity, or delivering better analytics faster — we know that your data and IT assets are the foundation for innovation. From digital transformation to ongoing operations, we help our customers easily embrace technology to deliver better business outcomes. 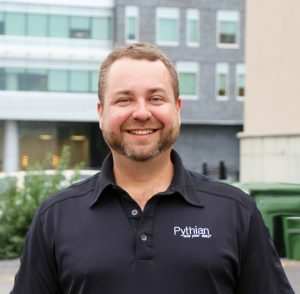 Lastly, Pythian was named one of Canada’s fastest-growing companies on the Profit 500 for the sixth time. Pagezii – How do you help customers adopt disruptive technologies? Chris – I’ve been in the Director role for several years. I did pivot out briefly to go deeper into developing some cloud solutions, but ended up back in the role within a year. I enjoy technology and leadership and found one without the other to be boring. While we do have several partners in the industry, we are technology agnostic. We believe in doing what’s right for the customer. For example, our pre-sales engineers are IT people working on production systems every day. Participating in pre-sales is typically one of several of their duties. Another key factor is that leading customers to disruptive technologies means that sometimes we have to challenge conventional thinking. When asked “Would you rather be disrupted by a person with bold ideas or a competitor taking your market share?” our customers usually embrace change with our guidance. Pagezii – Can you tell us about the Datascape Podcast? Chris – The Datascape Podcast is a “Business-Technical” podcast that covers technologies from the perspective of data rather than say, code or applications. It’s aimed at IT workers, managers, leaders and we try not to go “too deep” into the technology. We will rarely get into commands, errors and such, that’s not my intent. My intent is to tell people about the technology, what it is, what it’s for, how they can use it and how they can learn it. From there, they can decide what’s next. As a career long DBA, I’ve also been focusing on the impact of the Public Cloud to our IT careers. A lot of tasks are going away – but it seems to me that for every task that the cloud solves, there is at least one new one, related to the cloud. 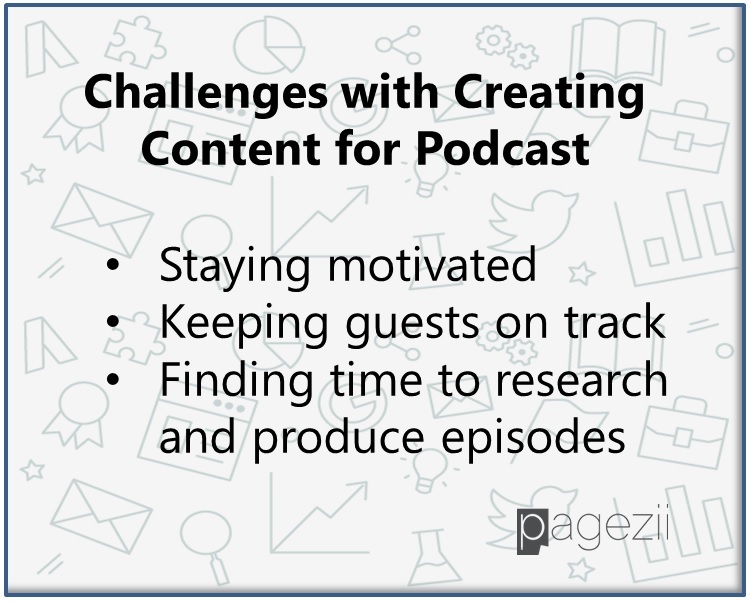 Pagezii – What challenges and opportunities do you face when creating your podcast? Chris – Since starting the podcast I’ve learned a ton. I’ve spoken at conferences, taught privately and publically – podcasting is nothing like those experiences. I have a whole new respect for the journalists interviewing people “live” on air. To name a few challenges, staying motivated after 17 episodes. Taking a short break over the summer really helped re-energize me. Getting guests to actually listen and keeping them on track during an interview is very challenging, especially when they are friends. Probably the most significant challenge for me, is continuing to make the time to research and produce the episodes. I actively consult, travel for work regularly and have 13+ direct reports. Fortunately I love what I do, and regularly receive “thanks” from the audience which is what ultimately motivates me. Pagezii – What inspired you to create the Datascape Podcast? I was listening to a podcast & thought I can do this too. So I spent a few hours in Evernote brain-dumping ideas of topics I’d like to know more about, or that I saw as influencing us and our customers. I hit up Fiverr for some open/closing jingles. A friend for some logo and web work – about a week later we had our first episode. Several followed in quick succession and the rest is history. Pagezii – Thank you Chris, for sharing your thoughts with us. Don’t forget to follow Chris on twitter and Datascape Podcast for more information.